A new statement by the organization representing police chiefs in the United Kingdom claims that one of the best ways to increase motorcycle safety is to encourage more people to get on two wheels. The statement by the UK Association of Chief Police Officers (ACPO) was made earlier this week to a committee at the British Houses of Parliament that is looking into how to improve road safety in the country. The group represents the heads of police departments in England, Wales and Northern Ireland. Obviously the UK is a different country with different rules and different driving patterns than the United States (after all, they drive on the wrong side of the road! ), but many of the reasons behind the recommendation make sense in an American context, as well. The ACPO says more riders on the road will increase safety both in terms of awareness and training. "The idea that more motorcycles on the road improves rider safety was initially based on European data, which shows that when a greater percentage of traffic is made up of motorcycles, mopeds or scooters, riders are less likely to be involved in an accident," the statement said. 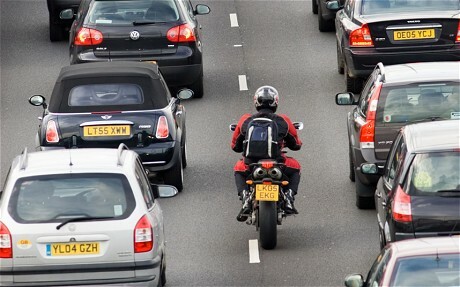 "It is also acknowledged that motorcyclists make better road users when driving cars." Admittedly, one of the reasons UK riders are thought to make better drivers is the fact that the country's motorcycle licensing process is notoriously difficult, Three on-the-road tests, a written test and a video-based test are required before a person can earn his or her full license. People under the age of 24 face additional testing. But it is anecdotally true that American riders also tend to be more alert to motorcycles and motorcyclists when in their cars. "There is a growing body of evidence which shows that if more people started their road careers on a motorcycle, scooter or moped, this would lead to improvements in driver behaviour towards all vulnerable road users," the statement said. In addition to increasing safety, the groups pointed out that increased motorcycle use would also lead to considerably less congestion on the country's famously clogged roads. Citing a recent Belgian study, the groups said that if 25 percent of road users were motorcyclists, traffic congestion would be eliminated. "I would be delighted to see the government adopt a more encouraging approach to motorcycle use, he said. "If we want to reduce congestion and improve the quality of people's lives, we need to embrace all forms of two-wheeled transport."